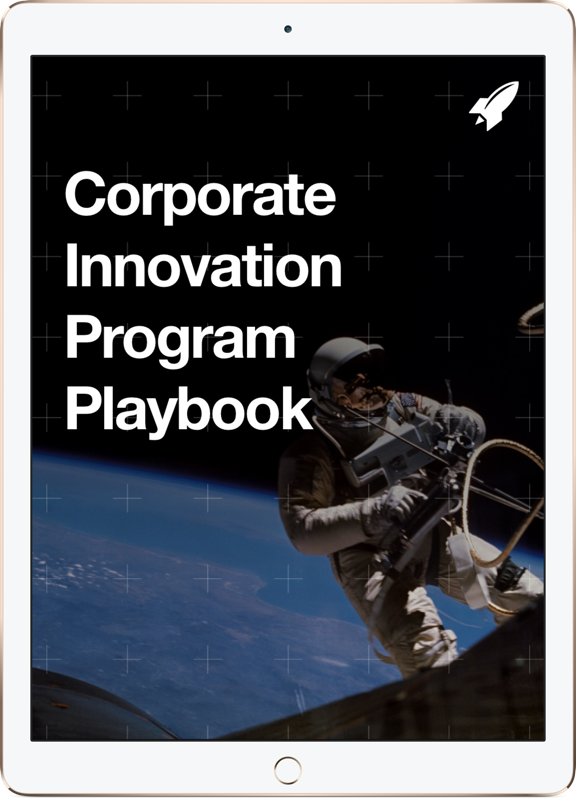 Every innovative startup presents a potential opportunity for corporations interested in the business's unique offering. There's more than one way to capture the value of those upstarts, and corporate leaders must decide on the best approach — or approaches. Here's a brief look at examples of four different avenues that corporations take with startups — investments, acquisitions, joint ventures, and partnerships — and how they are boosting their innovation efforts. Microsoft, which operates seven startup accelerators around the world, launched a new investing arm, Microsoft Ventures, in late May. By early October, the company had completed 13 investments in New York, San Francisco, Seattle, and Tel Aviv startups focused on software-as-a-service, security, cloud infrastructure, productivity and communications, and machine learning. "Our aim was to use this fund to place bets on innovators who align to our investment focus – cutting-edge technologies that better enable digital transformation." Microsoft Ventures chief Nagraj Kashyap says in a recent blog post. The venture operation provides strategic relationships as well as Series A to Series C financing to the entrepreneurs, he notes, and aims to be a "value-added investor" on company boards. While Microsoft had invested in startups in the past, it hadn't done much with early-stage companies and therefore wasn't part of the "early industry conversations on disruptive technology trends," Kashyap wrote when announcing Microsoft Ventures. "With a formalized venture fund, Microsoft now has a seat at the table." Microsoft Ventures' portfolio includes customer-support app Helpshift, sales communication platform Outreach, high-performance computing and simulations cloud service Rescale, and messaging toolkit firm Layer. Corporations appear to be on a startup buying streak. Hardly a week goes by, it seems, without another major deal announcement. Among the most recent acquisitions is Samsung's agreement to purchase Viv Labs, an artificial intelligence startup co-founded by the team that created Siri, now owned by Apple. Viv's platform is seen as a powerful, next-generation natural-language AI product. The deal is an example of well-matched corporate-startup goals. One Viv co-founder told TechCrunch that the venture chose Samsung as its new parent because the smartphone and tablet giant ships 500,000 devices annually, which aligns with the startup's goal of achieving ubiquity for its technology. Samsung says the deal aligns with its commitment to virtual personal assistants and plans to provide an AI-based open ecosystem across its devices and services. The phone maker's Global Innovation Center (GIC) led the acquisition for the company's mobile communications business. The GIC's core tasks include running an accelerator that provides startups with access to Samsung resources, leadership, guidance, and platforms. 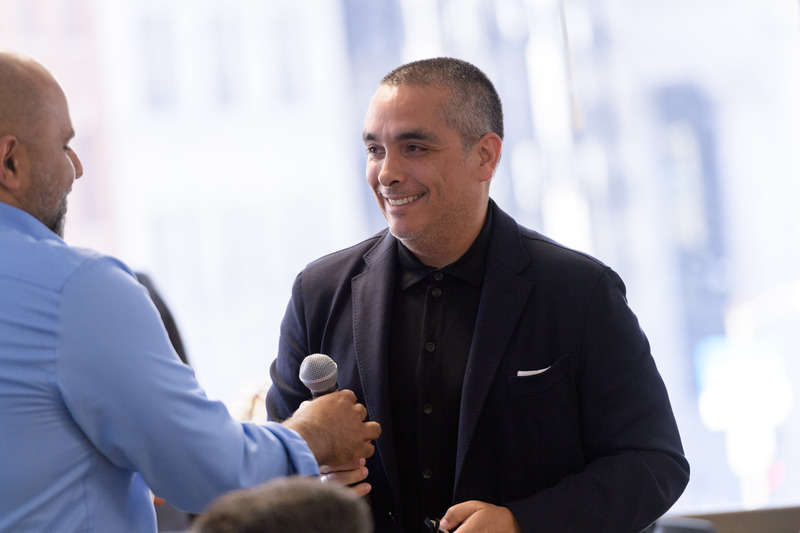 Jacopo Lenzi, Samsung senior vice president of business development and strategic acquisitions, said GIC seeks to help "build, grow, and scale" compelling startups. Viv is Samsung's nineteenth acquisition since January 2011, according to CrunchBase. Mutually beneficial working partnerships offer another way for big companies to tap into the startup ecosystem. Singapore Telecommunications (SingTel), while preparing coverage of the 2014 FIFA World Cup tournament, wanted to offer its sports-fan customers enhanced viewing experiences through second-screen viewing on their mobile devices. So the company, Asia's leading communications group, turned to startups to make it happen. Through RocketSpace's startup engagement program, SingTel met San Francisco-based social TV gamification platform Kwarter, which allows broadcasters, brands, and producers to create and monetize live audience participation on second screens. Kwarter wound up managing live-game participation and content management for a SingTel stand-alone app, and SingTel connected existing customers on its mio TV digital pay television service to the Football Pro app. Within a week of its release, it was the top sports app on Android and iOS in Singapore, with tens of thousands of downloads. Social media management startup Local Measure also partnered with SingTel in 2014 to give Singapore fans enhanced viewing experiences on mobile devices during the World Cup. SingTel tapped Local Measure to collect aggregated location data from fans in stadiums through social media platforms, to feed customers "rich and interactive social media content" and "a fully immersive World Cup experience." Partnering with startups is an ongoing focus for SingTel. The company's venture arm, SingTel Innov8, since 2010 has "invested and partnered with many talented start-ups globally to help them expand their businesses and introduce innovative technologies to the SingTel Group," Innov8 CEO Edgar Hardless said when announcing SingTel Innov8 Connect, a program to bring the company and startups together to create solutions to SingTel Group's business challenges. Joint ventures offer a chance for large corporations and startups to work together. In September, Volkswagen announced it was forming an automotive cybersecurity company, CYMOTIVE Technologies, with a team of Israeli cyber security experts. The business, based in Herzliya, Israel, and Wolfsburg, Germany, represents an investment in cybersecurity solutions for next-generation connected cars, according to Volkswagen. "The car and the Internet are becoming increasingly integrated. To enable us to tackle the enormous challenges of the next decade, we need to expand our know-how in cyber security in order to systematically advance vehicle cyber security for our customers. CYMOTIVE Technologies provides an excellent platform for doing this," Volkmar Tanneberger, Volkswagen's head of electrical and electronic development, said at the time. Yuval Diskin, former head of Israeli security agency Shin Bet, will be chairman of the new firm.Volkswagen will own 40 percent of CYMOTIVE while Diskin and two other former Shin Bet officials will own 60 percent of the business. What's your corporations' preferred M.O.? Let us know in the comments which path you prefer and why.